Music is always one of the few genres of games that have either been significantly underappreciated by a majority of the gaming community or created assembly line style only to be run into the ground by money hungry publishers. Pulse seems to land in the former of the two, but for good reason. It's only available on the iPad. While being created only for the Apple tablet doesn't necessarily contribute to the overall quality of the game, it definitely does bar a good number of potential Cipher Prime fans from partaking in the fun. Depite fans of their previous works, Auditorium and Fractal, feeling right at home, it doesn't take much time with Pulse to realize that it just may be the next great game to justify buying an iPad as a mobile gaming platform. If you own any of the three major consoles of the last generation, odds are you've played at least one game to come out of the music genre in the last several years. Whether your preference deviates between Rock Band, Guitar/DJ Hero or even more obscure titles such as Elite Beat Agents it isn't difficult to enjoy the almost universal acceptability of music games. Thus, when Cipher Prime released their latest opus, it was a pleasantly welcomed entry into the iTunes App Store. A clever twist on the formulaic gameplay that synergistically merges elements found in Gutair Hero and Elite Beat Agents, it harkens on further refined qualites of titles like Rock Band, Ouendon and Tap Tap Radiation. Nevertheless, Pulse stands on it's own incredibly well and proves itself to be unique against many other bland, generic games. Proving visually unique and graphically appealing, the colors of each level are seamlessly harmonized with the audio, enhancing the gameplay in a very memorable way. Play well, and the sounds and colors remain characteristically vibrant. Play poor, the color washes out and the sound becomes broken and disoriented, beckoning the player to get their head back into the game. The tutorial level, despite being only 1:07 long, will be a definite repeat affair for many players going back hone their rhythmic skills. 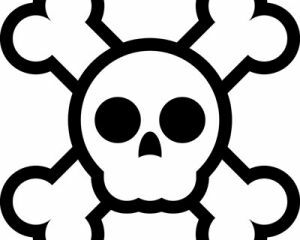 It's here that the comprehensive design of the game really shines through, making the underlying gameplay stand out in a very clear way. Utterly, the best foot forward I've seen of a tutorial in a great while. 8 Levels later, each with their own individualized visuals, audible characteristics and clever names (i.e. Sakura, Let's Roll and Porcelain Doll), player will feel statisfied upon their first playthrough as well as with the replayability of each one (because it's doubtful anyone will nail a 100% on each song their first time through). Adding on a bit more each level, the difficulty curve doesn't exactly spike in the most dramatic sort of way, but there are times it almost seems unmanageable to the less experienced player. However, this never feels fun or overwhelming to the point of rage quitting. On the contrary, going back to a prior level, everything feels significantly easier akin to playing a song in Rock Band on Expert and then playing it again on Medium. With a decidedly low barrier of entry (barring the fact that one needs to own an iPad to play), almost anyone can pick up the game and become attuned to it with relative ease in a very short amount of time - setting out to master it in a matter of minutes - which, odds are, will slowly bleed into a matter of hours. The touch controls are almost eerily intuitive pending the fact that one doesn't fat finger the touch screen while complimenting the iPad interface very well. At times, Pulse will almost require gamers to set the tablet down on a flat surface as the game will unrelentingly demand the full attention of both hands in the later levels. Complete with a fun, catchy soundtrack that is just one of the identifying hallmarks of a Cipher Prime title combined with enjoyable gameplay really will ultimately keep players coming back repeatedly, which sets it out to be the next great single-player experience on the iPad. That being said though, the limited amount of initial levels demanded updated content, to ever expand the few levels in Pulse. And, Cipher Prime wishing to maintain and expand their iPad audience, did just that, which will definitely pay off as more people take the plunge and enter into the tablet market. 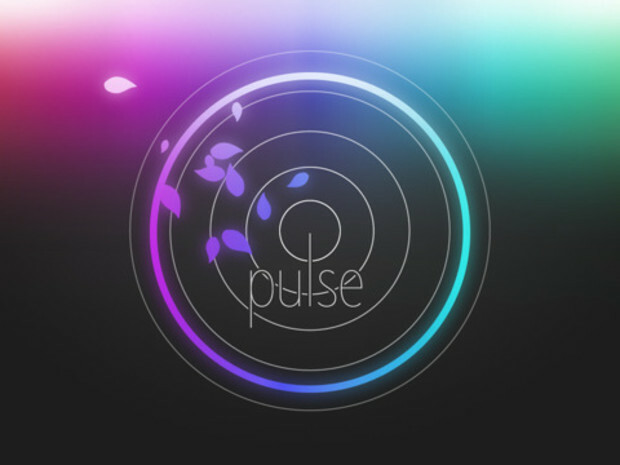 Truly, Pulse ends up feeling like a well-crafted game that expands on the puzzle roots of Cipher Prime, bringing them, and their previous works, a bit more into the spotlight as they continue to flex their audiophilic muscles as well as their proven ability to merge gaming and music into consistently great games. Buy this game: If you own an iPad - otherwise you have no excuse. Don't buy this game: If you're happier playing any other genre of game and avoid musical anything like the plague. Tone deaf, need not apply.